Hi everyone, how have you been? I’ve been okay…I haven’t done a length check since I retouched my hair: first of all, I couldn’t find my length check t-shirt. When I finally did, my memory card got spoilt (a lot of my pictures are now lost!). Fortunately, I have another memory card with some pictures there too. I haven’t trimmed my hair since I retouched it: I was going to but someone asked me to do a post on how I trim my freshly relaxed hair. I know that the best way to do this is to do a video. I know that I should do more videos but I’m just lazy. I will get around to it soon I promise. 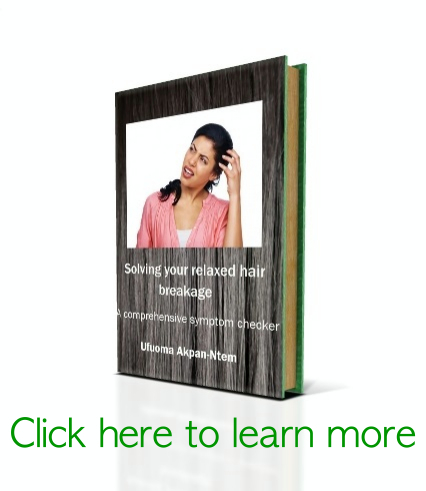 Last week, I wrote some posts on HOW TO DETERMINE WHY YOUR HAIR IS BREAKING. Did anyone benefit from that? What hair issues are you having? I would really love to know: I always try my best to respond to e-mails as quickly as possible . In other matters, I’ve decided to do a personal Greenhouse effect challenge till the end of the year.I usually do the Greenhouse effect once a week but I want to make it about 5 times a week. 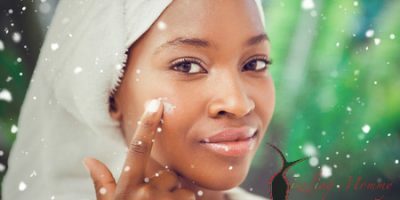 I have an old post on How I incorporate the Greenhouse effect into my regimen. Read it HERE. 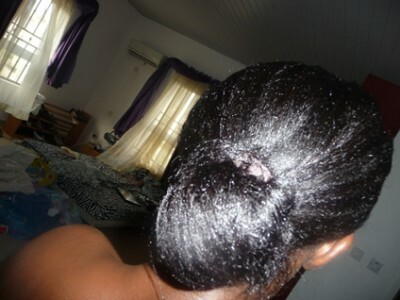 Last night, I parted my hair in 4 sections (it’s always good to moisturize in sections so that you don’t miss any area). Next, I mist each section with a little Rose water + oil mix. Then I rubbed my sealing oil mix into each section. Finally, I wore a shower cap followed by a black hair bonnet and then a black beret. Before I went to bed, I took off the shower cap and rewore the bonnet. My hair was a bit damp so this morning, I lightly blow dried it with cool air and held my hair into a bun. Anyone interested in joining me for the Greenhouse challenge? I’ll put up my ‘before pictures’ by next week. Would have really loved to join you on this but can’ t since my hair is currently braided… maybe next time…..or can i actually do it while my hair is braided up? I have a question – what’s the best way to treat dandruff? I would love to join the green house challenge but what oils can be used? Right now, its only evoo my hair can tolerate. I don’t have a beret, what substitute can be used? Any natural oil will be good for the greenhouse. EVOO is just perfect. You don’t need a beret. Any hat or hair bonnet or scarf will do. Girl that bun is lushhhhhh! I’m PS’ing with weave right now so no GHE for me but I’ll be watching! Thanks… I’m expecting great results by God’s grace! !